Israel has the right to shell Palestinian hospitals and schools out of self defense as long as Hamas stores rocket launchers next to them, US Sen. Elizabeth Warren said during a town hall meeting in Massachusetts this week. Warren, darling du jour of American liberals, defended her vote to send more defense funding to Israel in the middle of its recent fierce offensive on Gaza, saying she believes civilian casualties are the “last thing Israel wants,” according to the Cape Cod Times. "But when Hamas puts its rocket launchers next to hospitals, next to schools, they're using their civilian population to protect their military assets. And I believe Israel has a right, at that point, to defend itself," she said. Israel and Palestinian authorities reached a long-term ceasefire agreement this week after Israel started its campaign in Gaza on July 8. The death toll from the Gaza conflict has reached at least 2,120 people, of which 577 are children, according to the Palestinian Health Ministry. 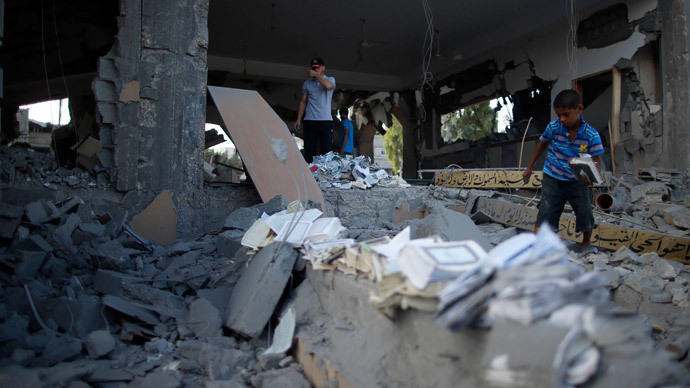 During the conflict, Israel targeted schools and hospitals in Gaza, claiming that rockets and militant fighters were nearby. The United Nations Relief and Works Agency criticized both Hamas for storing rockets in two schools and Israel for attacks on separate schools. Attacks on hospitals are prohibited by the Geneva Convention’s Protection of Civilian Persons in Time of War "unless they are used to commit, outside their humanitarian duties, acts harmful to the enemy." Even then, civilian hospitals can only be targeted "after due warning has been given, naming, in all appropriate cases, a reasonable time limit and after such warning has remained unheeded." 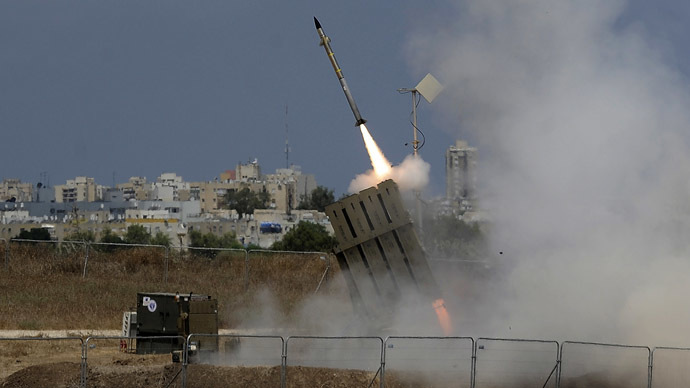 Warren said Hamas has attacked Israel "indiscriminately.” Thanks to Israel’s vaunted Iron Dome defense system, though, those rockets have "not had the terrorist effect Hamas hoped for." "Israel lives in a very dangerous part of the world, and a part of the world where there aren't many liberal democracies and democracies that are controlled by the rule of law,” she said. “And we very much need an ally in that part of the world." Warren also expressed unease with conditioning future US funding for Israel on the cessation of Israeli settlements in the West Bank. 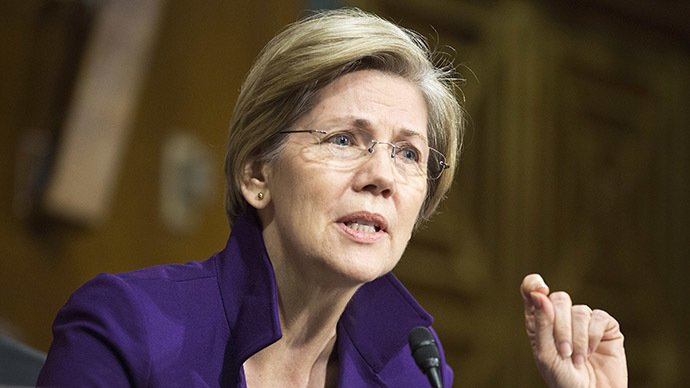 "I think there's a question of whether we should go that far," Warren said. Last month, UN High Commissioner for Human Rights said Israel may have committed war crimes in Gaza. Navi Pillay said house demolitions and the killing of children raise the “strong possibility” that Israel is violating international law. 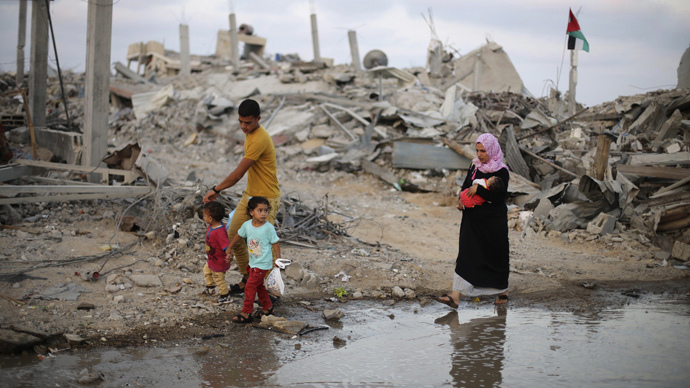 More than 17,000 homes in Gaza were destroyed or damaged beyond repair, making around 100,000 Palestinians homeless, since the war began, according to UN estimates. 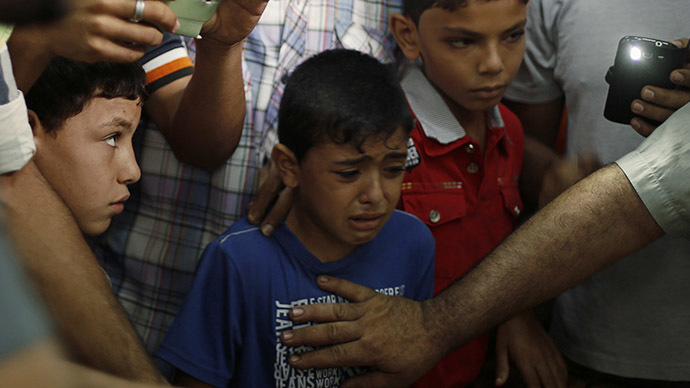 According to a senior UN Children’s Fund (UNICEF) official, 373,000 Palestinian children are in need of “immediate psychosocial first aid” due to the onslaught of Israeli strikes. “The impact has truly been vast, both at a very physical level, in terms of casualties, injuries, the infrastructure that's been damaged, but also importantly, emotionally and psychologically in terms of the destabilizing impact that not knowing, not truly feeling like there is anywhere safe place to go in Gaza,” Pernilla Ironside said last week. 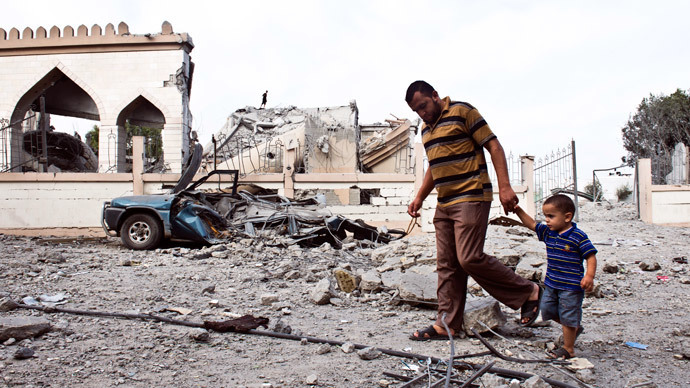 Israel has also barred major human rights organizations from entering Gaza territory. "This is a very depressing and difficult issue. This has gone on for 60 bloody years," he said. "If you're asking me, do I have a magical solution? I don't. And you know what, I doubt very much that you do."